Helicopter transfers from Luton, Heathrow, Biggin Hill, Farnborough, Manchester, Stanstead, Birmingham, Redhill, Gatwick to London Battersea Heliport. Call us for other detinations and full pricing. Helicopters Charter Service based on your needs. We are experts in transferring people to or from London by Helicopter. Many people charter helicopters from us to fly them directly from there private jet on landing saving them a huge amount of time. For example flying 5 people from Luton airport in to London Battersea Heliport takes about 23 minutes where as driving by car will take nearer 90 minutes if you are lucky. 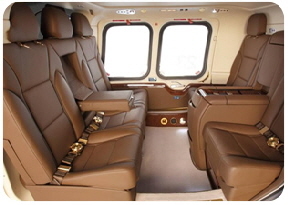 To charter a helicopter with us call the numbers above. We offer convenience, discretion and consistent high standards. You may need to fly to the centre of Paris or take a helicopter to your house in the country. We operate helicopter charters from London Battersea to all viable destinations saving you time, whilst maximising productivity and your lifestyle . Using helicopters for business saves you time away from the office. Put you in the right mindset without induring the issues being caught up in the mid morning rush! Why consider helicopter hire in London? They said the centre of London is a square mile, not anymore. With London expanding over the decades traveling in and out of London is and always will be difficult when traveling by road or rail. Avoid the busy rush and charter a helicopter, saving you time and avoid the stresses of every day life in London. Helicopter charter or helicopter hire from Battersea, The London Heliport is the easiest solution allowing you to get to and from your business meeting or allowing you to transfer from London to your private jet in the surrounding airports such as Luton, Stansted, Biggin Hill, RAF Northolt or Farnborough. We offer competitive helicopter hire prices to any location you need to fly from or to. Chartering a Helicopter to get to or from London has never been easier, we are experts in Helicopter hire and able to charter you the helicopter you need from a diverse fleet of owned Helicopters run on their respective AOC in line with CAA regulations.